Football and other sports start early in Spain. 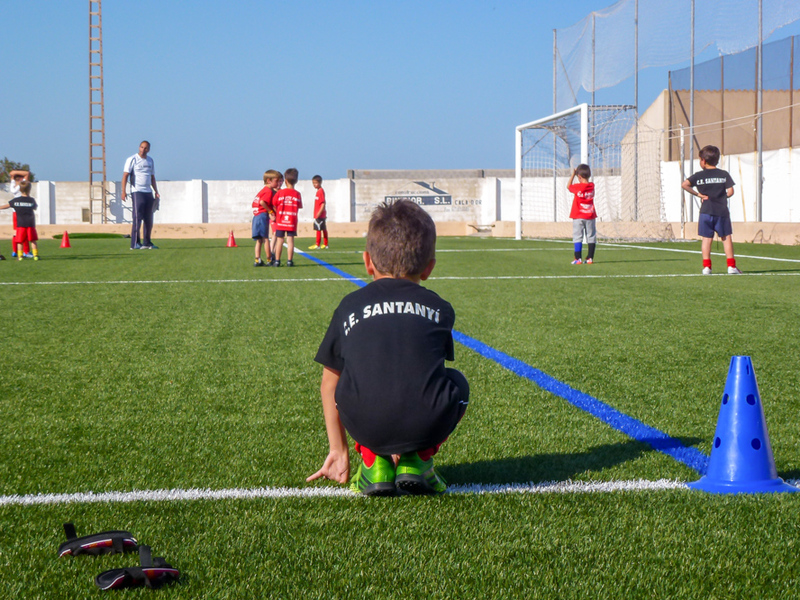 In Santanyí, the Club Esportiu Santanyí starts training youngsters from as early an age as three years old. Coach Xavi Prohens trains the Escoleta team of four and five year olds. The photo was taken in Santanyí, Mallorca, Baleares, Spain. The date: May 9th, 2014.